Brian Trimmer, in his 70s, was first diagnosed with stomach cancer in 2007. Eighty per cent of his stomach, and part of his oesophagus, were removed the following year. But, the cancer spread to his lymph nodes five years later, and the diagnosis was terminal. But, Trimmer took part in a “cutting-edge immunotherapy treatment” trial, and three and a half years later, his cancer is kept at bay. The trial, which takes place at the HCA UK Sarah Cannon Research Institute, follows a similar process to chemotherapy. It had no side-effects for Trimmer, so he’s able to enjoy more time with his family. Trimmer receives treatment every two weeks, and scientists are optimistic about his future. More people should consider taking part in ground-breaking trials, Trimmer urged. “I know that by going on this trial, I’m not only helping myself, but also other people who might one day find themselves in this situation,” he said. “It’s amazing to know that this research is happening all the time. Now I am able to enjoy my life without any ‘duvet days’. “I can get out and about and have fun times doing normal life things. 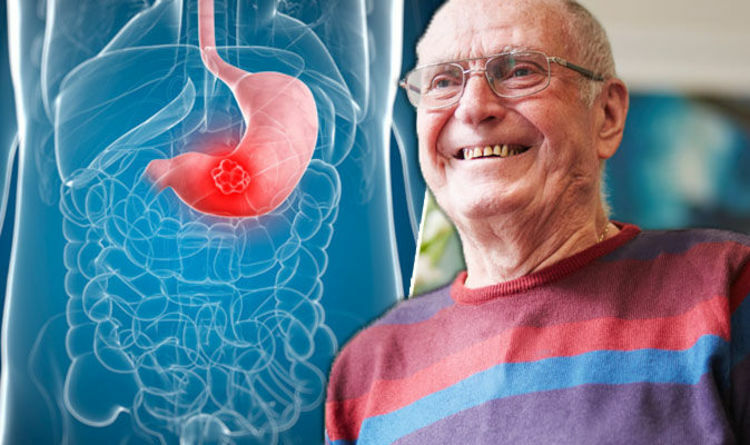 Stomach cancer, or gastric cancer, is relatively rare type of cancer, according to the NHS. About 7,000 people are diagnosed with the disease every year. Signs of stomach cancer include persistent heartburn, stomach pain, and feeling very bloated after meals. Men are most at-risk of the cancer, as well as smokers, people over 54 years old, and have a diet low in fibre.